On Tuesday, Hitachi Global Storage Technologies (HGST) announced the release of its G-Drive Slim, a 2.5-inch external hard drive billed as the “thinnest hard drive in the world.” Formatted for the Mac, the USB-only G-Drive Slim offers 320GB of storage in a compact, sleek form. The USB 2.0 adapted G-Drive Slim utilizes HGST’s 7mm Travelstar Z5K320 drive technology to achieve dimensions of only 128.6mm(L) x 82mm(W) by 9.9 mm (H), with a weight of 144g (5 oz). It’s small enough to fit into any pocket, purse, briefcase or backpack. Though it’s tiny, the data device offers 320GB of storage. Users of the G-Drive Slim can store up to 80 hours of high-definition video, 320 hours of standard video, 80,000 songs and 160 games on its drive. 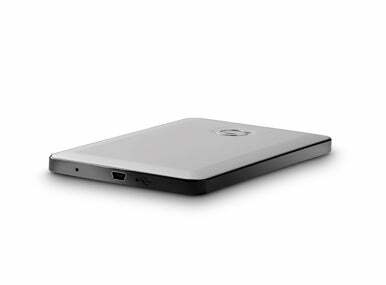 The G-Drive Slim’s aluminum covering provides an excellent heat shield, letting it run cool. Its enclosure also makes the drive remarkably quiet and stylish. “Our new G-Drive slim is yet another way that we’re making high quality storage more accessible and affordable for consumers,” said Mike Williams, vice president and general manager, Hitachi GST Branded Business, in a press release. “There’s been mounting interest from our global network of retailers and distributors to provide a G-Tech-quality, entry-level portable offering and the G-Drive slim is that drive." The G-Drive Slim is only formatted for Macintosh computers and is plug-n-play and Time Machine ready. The bus-powered Slim requires only a USB connector, and requires no other wires or power cords to work. The drive offers a 5,400RPM mechanism and a three-year warranty and can be purchased online or at Apple Retail Stores for $99.99.